September 2015, the Healthy Caribbean Coalition in partnership with PAHO and the University of South Florida (USF) World Health Organization Collaborating Center on Social buy cheap tramadol hcl 50mg Marketing and Social Change (WHO CC on Social Marketing) is pleased to announce the recent formation of the Caribbean Salt Smart Coalition (CSSC) in Antigua in September 2015. The CSSC currently consists of four multi-stakeholder country teams (including civil society) in Antigua & Barbuda, Barbados, Jamaica and St. Vincent & the Grenadines. The teams have worked extensively with PAHO/USF over the past 6 months to develop social marketing capacity around dietary salt reduction with the end result being the development of targeted national social marketing campaigns. The CSSC will be hosting a webpage on the HCC website which will provide updates on country level progress in the implementation of the country campaigns. We will also be introducing you to the team members and some of the work they have undertaken to date. See pictures form the meetings in Antigua here. 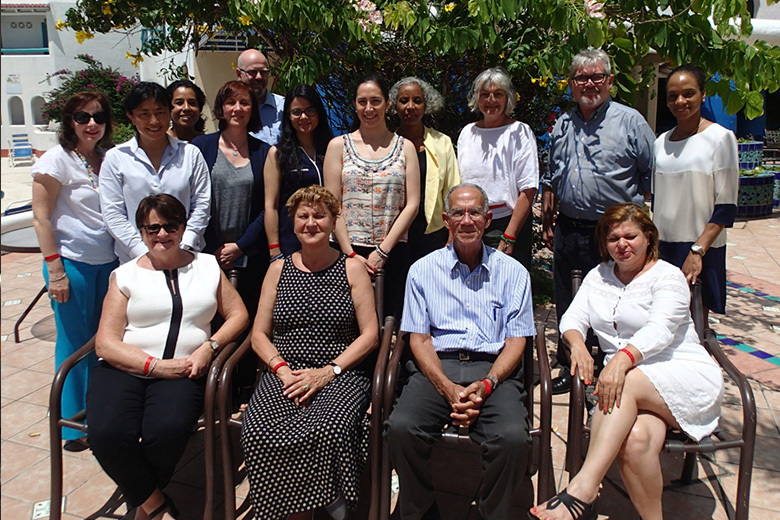 This PAHO multistakeholder committee had their fourth meeting on September 17-18, 2015 in Antigua and Barbuda to discuss the implementation of social marketing to change the social norm on salt/sodium consumption. The meeting of the Consortium returned to its social marketing priority. It coincides with a social marketing project rolling out in the Caribbean in four countries – Barbados, Jamaica, Antigua and Barbuda, and St Vincent and Grenadines. The project is a collaborative initiative involving PAHO, the American Heart Association, the Healthy Caribbean Coalition and the WHO Collaborating Centre on Social Marketing at the University of South Florida (USF). For more information about the SaltSmart Consortium please contact Branka Legetic, PAHO-WHO Regional Advisor, Noncommunicable Diseases and Disabilites, Department of Noncommunicable Diseases and Mental Health at legeticb@paho.org. 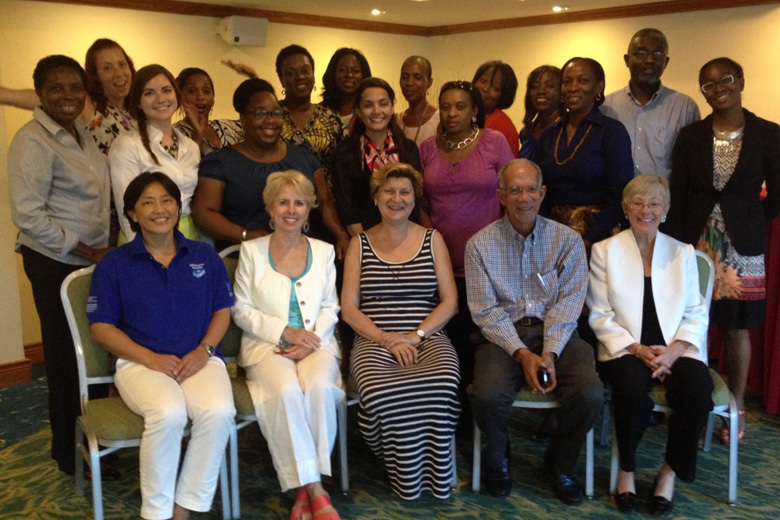 Social Marketing Training on Building Capacity for Dietary Salt Reduction was conducted this past week from July 7-8, 2015, in Barbados. The workshop was led by PAHO/HCC and the University of Southern Florida (USF) (USF is a WHO Collaborating Centre on Social Marketing and Social Change). 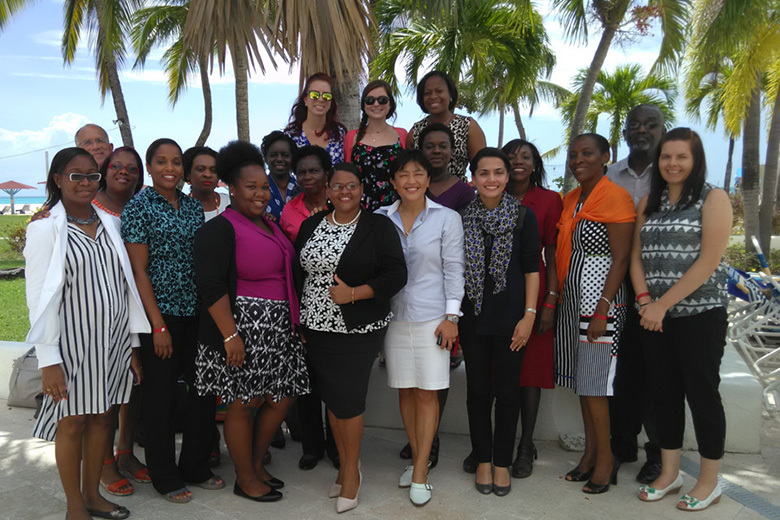 Country teams from Antigua & Barbuda, Barbados, Jamaica and St. Vincent & the Grenadines are benefiting from this 5-month long process aimed at building social marketing capacity. This 2-day planning workshop is the second component of the overall process. It follows an intensive 5 week online training course using the PAHO virtual campus. The teams will now spend the next few months working on data collection and concept testing with hands on support from USF. This will be followed by a Strategy Formation workshop in September leading to the development of tailored country based Marketing plans. The USF team consists of: Dr. Carol Bryant, Dr. Linda Whiteford, Jim Lindenberger, Mahmooda Khaliq Pasha, Robin Mowson and Dana Ketcher. The team from PAHO consists of Dr. Branka Legatic and Dr. Tomo Kanda. Antigua; Juanita James, Lorren Davis, Almarie Robert-Coates. Barbados: Denise Carter Taylor, Lisa Bayley, Sheena Edwards. Jamaica: Rosemarie Wright-Pascoe, Rainford Wilks, Camelia Thompson. St. Vincent & Grenadines: Patsy Wyllie, Wendy Michael, Beverly Liverpool. To see photos from the meeting click here.